People come to this town for many reasons, to shop, for work, to visit friends or family. That’s why Toronto furnished condos are so popular. 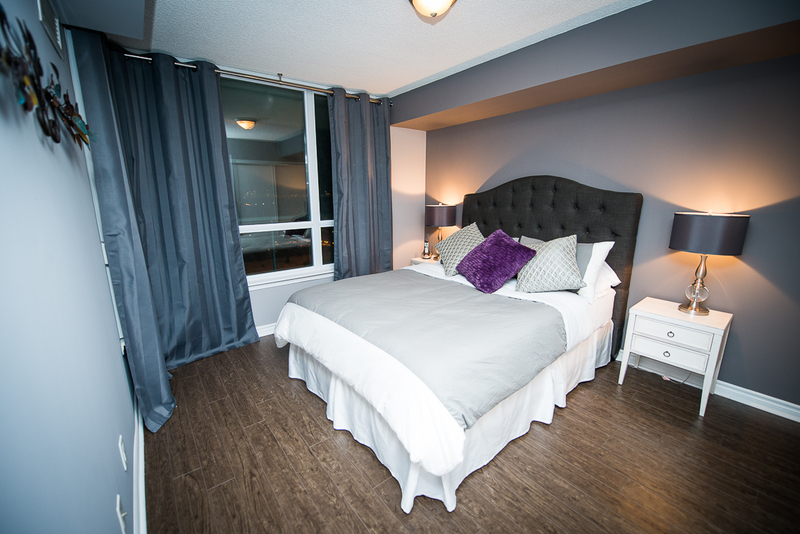 They offer you the best way to somehow maintain your lifestyle in a rental unit something hotel rooms just can’t do. Whatever your reason may be for coming to this multicultural city is Toronto accommodations can be made. 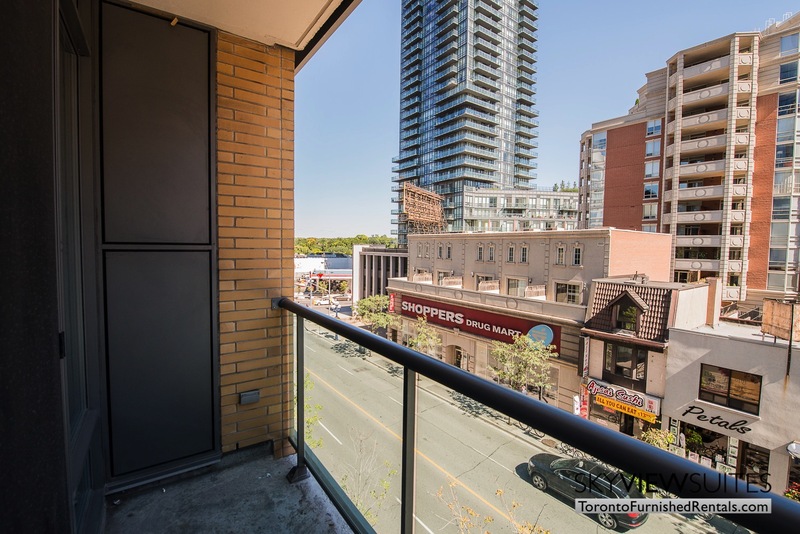 Location wise it’s perfect for Toronto corporate housing, this suite is in North York inside the Empire condos which conveniently offer easy access to the subway and highway 401. Downtown is only 30 minutes away from; however across the street is Bayview Village, one of the most affluent shopping centers in the city (more about this later). 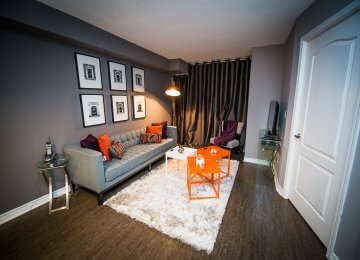 This Toronto furnished apartment is a one bedroom plus den unit with two full bathrooms, one with a stand up shower. Also, there is a private balcony to get some air. There is hardwood flooring throughout the space, except for the bedroom and den. Other than that, the concept is pretty open. An interior designer has been brought in to select the most appropriate furniture that has style and practicality. The living room has a comfortable couch and a flat panel digital TV. Adjacent to that is the dining area which can seat 4 people on the trendy chairs and table. Right next to that is the kitchen with brand new appliances, custom cabinets and granite countertops as well as additional island seating. The bedroom is huge and bright and has broadloom carpet and a queen sized bed. Two night stands sit on either side of it, and there’s plenty closet space for your personal items and clothes. Speaking of which, there is an en-suite washer and dryer for that too. 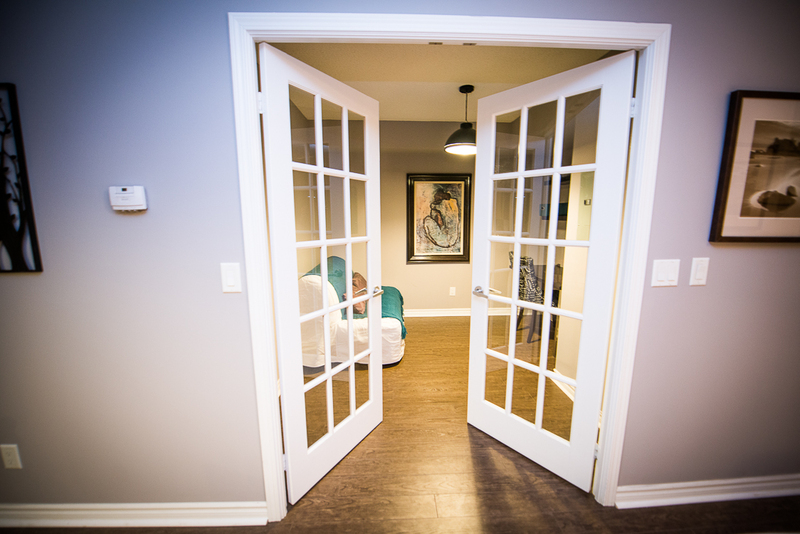 French doors close off the den, making it easier to get work done when in use. The amenities the building offers are great; there is a beautiful pool, hot tub and a fitness facility. For fun, you can go to Bayview Village Shopping Centre which is right across the street. It is one of Canada’s most prestigious shopping centers. It accommodates to discerning, wealthy patrons searching for unique products in an attractive, chic environment. The 440,000 square foot Centre located at Bayview and Sheppard Streets in Toronto, is home to over 110 exceptional and lavish retailers promoting the newest fashion styles. Bayview Village has an amazing feel to it; some of the niceties include granite, gorgeous tiles, and chandeliers, all around the centre. More than enough seating is vacant throughout for you to take a break while listening to the classical music that’s playing overhead. Fine restaurants can be discovered here too.